Doug Kitani, formerly CEO and a director of IAP Worldwide Services, has joined Erickson as CEO of the Portland, Oregon-based transport aircraft manufacturing company. Erickson said Thursday Kitani previously led portfolio strategies and corporate development efforts at logistics services contractor DynCorp. 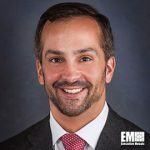 He also held general management positions at Honeywell International (NYSE: HON) and General Electric (NYSE: GE) as well as leadership roles in the private equity investment field. Erickson Chairman Jim Continenza said Kitani’s aerospace, defense and government services experience will help drive the company’s market expansion initiatives. Kitani, an inductee into Executive Mosaic‘s Wash100 for 2015, served as a U.S. Army helicopter pilot who flew UH-1, OH-58 and UH-60 aircraft platforms and completed 11 years of active and reserve duty. He is also a member of the Frederick, Maryland-based Aircraft Owners and Pilots Association and a supporter of the Green Beret Foundation.